As online shopping continues to dominate the consumer, market and retailers are turning to real-time communications to engage intensively with their customers. Contact us to learn more about how the IVCbox platform can help you in creating exceptional levels of service and tailored experience for your customers. Real-time communications allow colleagues to collaborate whether they’re in the office, in the field, or halfway across the globe. Contact us to learn more about how the IVCbox platform can help you increase efficiency by keeping your remote and mobile workforce connected. Experts and industry professionals are using WebRTC to offer hi-tech services to an increasing range of customers. Use time more efficiently and keep your clients happy. Contact us to learn more about how the IVCbox platform can help you expand your business reach. As more consumers turning to online banking, financial experts and institutions are implementing real-time communications to offer highly personalized services. Contact us to learn more about how the IVCbox WebRTC-based platform can help you in delivering secure, hi-tech interactions for portfolio management, retirement planning and more. Today’s consumers have come to expect a highly personalized service experience. Learn how the IVCbox platform’s flexible feature-rich interface can help you in offering your customers a more engaging experience, resulting in increased customer satisfaction and retention. See what I See Provide representatives with real-time video access to a customer’s room, vehicle, or leaky pipe, allowing them to quickly and effectively assess customer needs. Pre-sales Support Help consumers make more informed purchase decisions through live interaction, greatly increasing customer satisfaction and reducing the number of product refunds. Today’s consumers have come to expect a highly personalized service experience. Contact us to learn more about how the IVCbox platform’s flexible feature-rich interface can help you in offering your customers a more engaging experience, resulting in increased customer satisfaction and retention. Educational organizations are investing increasingly in WebRTC to add new and lasting experiences to traditional online education. Learn how IVCBox can help you in making education more affordable, interactive and engaging. - Increases accessibility and reach. - Makes learning more affordable and cost effective. 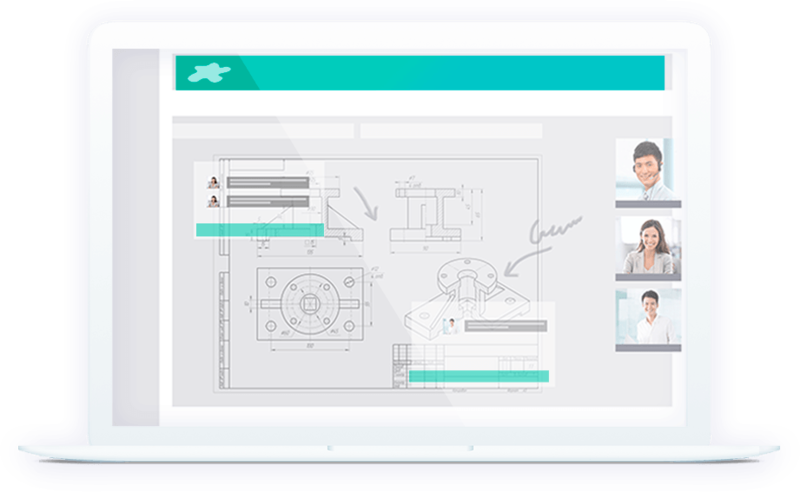 - Easily integrates with existing workflows and e-learning platforms.